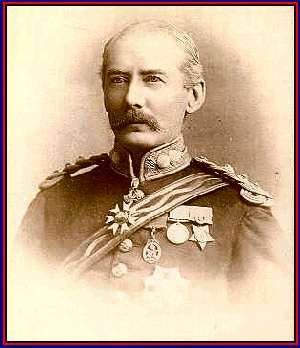 Major General Sir Charles William Wilson, K.C.B., K.C.M.G., F.R.S., D.C.L., LL.D., M.E. Charles Wilson was born in Liverpool and was educated at St. David's, Liverpool Collegiate Institute and Cheltenham College. Like all Royal Engineer officers, Wilson was a Gentleman Cadet at the Royal Military Academy, Woolwich, where he learned his trade as an engineer, and obtained a commission in the Royal Engineers in 1855. In 1864, at the instigation of George Grove, Baroness Angela Burdett Coutts (Bishop Hill's Burdett-Coutts)helped finance the Ordnance Survey of Jerusalem. Volunteers were called for from the Royal Engineers to carry out the work and Wilson was selected. The aim of the work was to lay the basis for the improvement of the water supply of Jerusalem, which at the time was severely polluted. In addition to producing a topographical map of the city and its immediate environs, in 1865 the survey party carried out a series of levels from the Mediterranean to the Dead Sea, which established the relative levels of the two bodies for the first time. elected to the Council of the Society of British Archaeology and in 1874 he became a Fellow of the Royal Society. On returning to England he became Director of the Topographical Department at the War Office and Assistant Quartermaster General in the Intelligence Department. In 1876 he received a C.B. (civil) for the organisation of the Department. He then had charge of the Ordnance Survey of Ireland and also served on the Royal Commission for the Registration of Deeds and Insurances in Ireland in 1878. Later in 1878, he was appointed British Commissioner on the Serbian Boundary Commission. From 1879 to 1882, he served as Consul General in Anatolia and travelled extensively in the remoter districts of Turkey. "...Only fancy our having a visit from 2 ladies here. We were quite swamped with visitors, 10 all at once, and in this country of course where people dine where they sleep. Col. Hawkins gave up his house to the 2 ladies and their husbands and the remainder we managed to stow away amongst us. We got up a very decant dinner for them and had a jolly evening, singing and dancing and sent them away the next morning, I hope, greatly pleased with their visit. What would English people think of driving 15 miles with the thermometer at zero and 18 inches of snow on the ground? but here distance is never thought of for a moment when any excitment is going on." Dr. Lyall and I are quite alone at Colville, Darrah having left for Fraser river to erect monuments on the boundary there and the others being still out in the field. Bauerman is ordered home before winter sets in and I am afraid Dr. Lyall will have to invalid as he is far from well and will hardly be able to stand the severs winter up here, so that we shall be much reduced in numbers and rather lonely cooped up in our log huts. We had a rather amusing scene here the other day which would have caused civilized people to open their eyes; the departure of Macdonald, the Hudson's Bay officer here, and his family on a hunting expedition. They went off mounted by twos and threes; Mrs. Macdonald, a french half-breed, leading, perched high up on a curious saddle used by women here, one of her younger daughters behind her and the baby swinging in its Indian cradle from the pommel; next came Miss Christine who is about 17, with her gaily beaded leggings and moccasins and gaudy shawl flying in the wind, she had a younger sister behind her an in front a small brother perched like a young monkey on the high pommel; next came the boys two and two on horseback and last Macdonald himself on his buffalo runner, surrounded by a crowd of Indians and half-breeds, to which add some 40 or 50 pack horses and spare animals rushing wildly about with the shots and cries of their attendants and you have a fine scene of excitment and confusion. I was invited to join them and offered a buffalo robe in the comman lodge where we all live together, but unfortuantely I could not leave this place or I should have liked very much to have gone with them as the hunting season is now commencing. Dr. Lyall leaves today for Victoria, an invalid. Bauerman, our geologist, also leaves with 10 men for England. The constant exposure and wear and tear has told pretty heavily on some of our party and they have been sent away to escape our rough winter which it is doubtful whether they could stand another turn of. The American garrison up here have been ordered below in consequence of the Southern disturbances, which looks rather bad for the Northerners as they must be in great want of men to withdraw such a remote garrison as this. They have been replaced by volunteers. I have not seen any of them yet, but from all I can hear they will not be very pleasant neighbours: the companies were raised in California from the very scum of the earth and, as the officers are chosen by ballot from among the men, you may have an idea what they will be. The men have already been distinguishing themselves by several robberies, housebreaking etc. which seems to be much in their line. "...I will give you an example of the way one day is passed, which you can multiply by the number of days in the winter and have a good idea of how we manage to kill time. I generally get up at about 8 am and dressing and breakfast while away the hours till 1/2 pat 9, then writing and business till 2 or 1/2 past 2 when I always go out either for a walk or in the sleigh returning about 5. We dine at 6 and after dinner read or have a game of backgammon or rubber of whist till 10 or 11 o'clock, then to bed to go through the same course on the morrow. We have seen nothing of our neighbours, the American volunteers, but we occaisionally hear of their doings. The officers and men had a fight amongst themselves the other day, what they call a 'free fight', everyone against his neighbour, in which coonsiderable damage was done to the faces and prominent features of the belligerants. Our cook, having cleverly contrived to boil up his pipe and tobacco with the soup, we spent a rather cheerless Xmas eve and everyone went to bed at an early hour, with a vastly unpleasent sensation. "...our men are now busily engaged in getting one of their rooms in order for a large ball which they are going to give to the fair, or rather, dusky ladies, of the valley and which will give us some amusement. The preparations which are on a very extensive scale, serve to while away the monotony of the long evenings." "...The ball given by our men went off with great eclat, all the elite of the valley being there and dancing kept up till a late hour. The following week we also had a large ball at the Hudson's bay fort and kept up the dancing till 1/2 past 7 in the morning with great spirit. A "reel of huit' as it is called in these parts, is the favourite dance and I must say the ladies are untiring. I think they could have gone on for another 12 hours. Coming back by sleigh through the cold wind I managed to catch a sevsre cold, which has kept me a prisoner to the house ever since." "A large Ball was given by the Americans at the Garrison as it was Washington's birthday, to which we all went up and spent a very jolly evening dancing jigs and reels till 4 in the morning. All the inhabitants of the valley were there, with their babel of tongues and we sat down to a first rate supper such as has not been seen here before, only fancy, hoops and crinoline, polkas and galops, have now found their way to this remote spot, but I cannot say that the ladies are great proficients in the art. At any rate I know my limbs ached for many a day after, for when once started, our fair partners never stop till the music ends. A few days before the ball a most cold blooded murder was perpetrated by one of the Volunteers officers! who stabbed a man with a large bowie knife without any provocation. This is the second murder he has committed within the last three years and I suppose he will get off this one as he did the last. The people almost make a boast that no one is hung for murder in this country. Lynch law is the only thing for this wild life however repugnant it may seem to civilized ideas." 14 Mar 1836: Born at Liverpool. Son of Edward Wilson, Esq. 1844: At St. David�s School, Pembrokeshire. 1845: At the Collegiate Institute, Liverpool. 1854: Student at the University of Bonn. 1855: Commissioned Lieutenant in the Royal Engineers. Passed second in first open admission to the Royal Engineers. 1855-57: At the School of Military Engineering, Chatham. 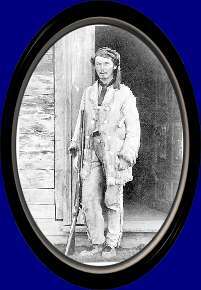 1858-62: Assigned as the Secretary of the North American Boundary Commission in British Columbia, Canada. 1864-65: Carried out the Ordnance Survey of Jerusalem. 1866-68: In charge of the Ordnance Survey of Scotland. 1867: Married Olivia, daughter of the late Colonel Duffin, Bengal Cavalry. 1868-69: In charge of the Ordnance Survey of the Sinai. 1869-70: Executive Officer of the Topographical Department. 1870-73: Director of the Topographical Department. 1873-76: Assigned as Assistant Quartermaster-General at the Intelligence Department. 1874: Elected a Fellow of the Royal Society (F.R.S.). Also a Fellow of the Royal Geographical Society. President, Geographical Section, British Association, Belfast. 1876-79: In charge of the Ordnance Survey, Ireland. 1877: Created Companion of the Most Honourable Order of the Bath (C.B.)(Civil). 1878-79: British Representative on the Serbian Boundary Commission. Royal Commissioner for Registration of Deeds and Insurances in Ireland. 1879-82: Consul-General in Asia Minor (Anatolia). 1881: Created Knight Commander of the Most Distinguished Order of St. Michael and St. George. Employed while Consul-General in Asia Minor on a Special Mission to Rumelia, and on the inspection of the Consular stations in Asia Minor, Syria, and Palestine. 1882-83: Employed on a Special Mission in Egypt, on the trial of Arabi Pasha, and under the Earl of Dufferin. Awarded Egypt 1882 Medal and Khedive�s Star. 1883-84: In charge of the Ordnance Survey, Ireland. 1883: Honorary Doctor of Civil Law (D.C.L. ), Oxford. 1884-85: Deputy Adjutant-General and Chief of the Intelligence Department for the Nile Expedition. Present at the action at Abu Klea. Commanded the troops at the battle of El Gubat on the 19th of February 1885. Mentioned in despatches, thanks of the Government and two clasps to the Egypt Medal. 1885: Created Knight Commander of the Most Honourable Order of the Bath (K.C.B.). 1885-86: In charge of the Ordnance Survey, Ireland. 1886: Honorary Doctor of Laws (LL.D. ), Edinburgh. 1886-94: Director-General of the Ordnance Survey of the United Kingdom. 1888: President, Geographical Section, British Association, Bath. 1893: Appointed Temporary Major-General. Honorary Master in Engineering (M.E. ), Dublin University. 1895-98: Director-General of Military Education. 1898: Retired from the Army by age. 1899: Traveled in Palestine. Edom, and Moab. Address: 9 Warwick Square, London, S.W. Club: Athenaeum Recreations: traveling and exploration. 25 Oct 1905: Died at Tunbridge Wells, Kent. 1. WATSON, SIR CHARLES M. The Life of Major-General Sir Charles William Wilson, K.C.B., K.C.M.G., F.R.S., D.C.L., LL.D., M.E. E.P. Dutton & Company, New York, 1909. 2. HUNTER, A.A. (ed.). Cheltenham College Register, 1841-1910. G. Bell and Sons, Ltd., 1911, p. 149. Charles Wilson was also a painter, many of his works can be found at the British Columbia Archives, some are presented here for your viewing pleasure.